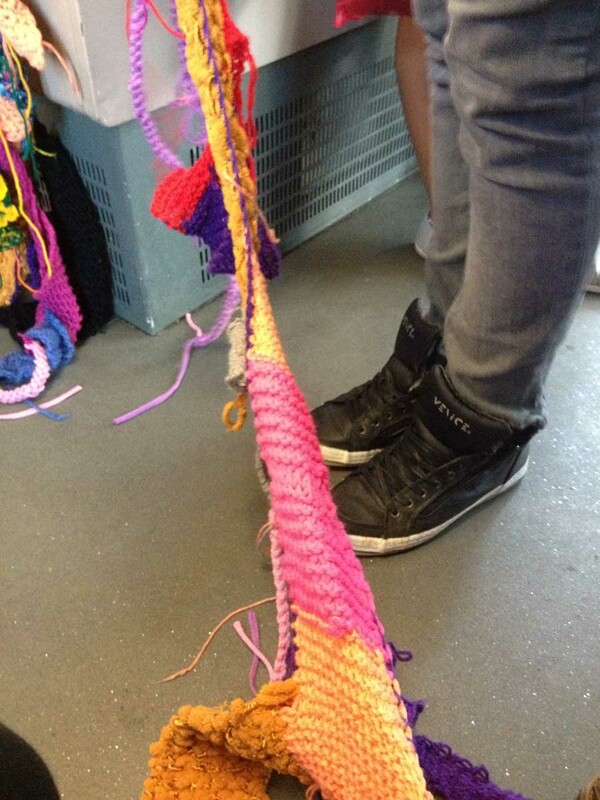 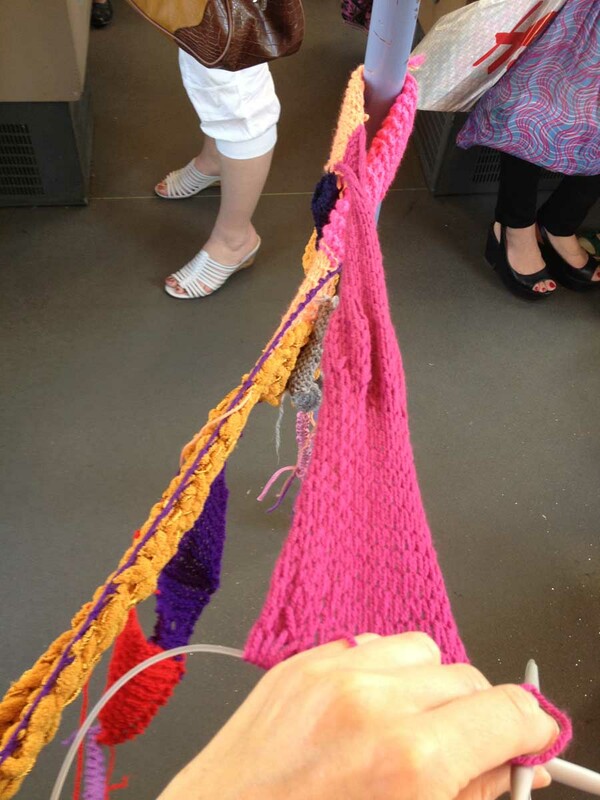 An interactive performance, a mutual knitting through communicating is creating a new space. 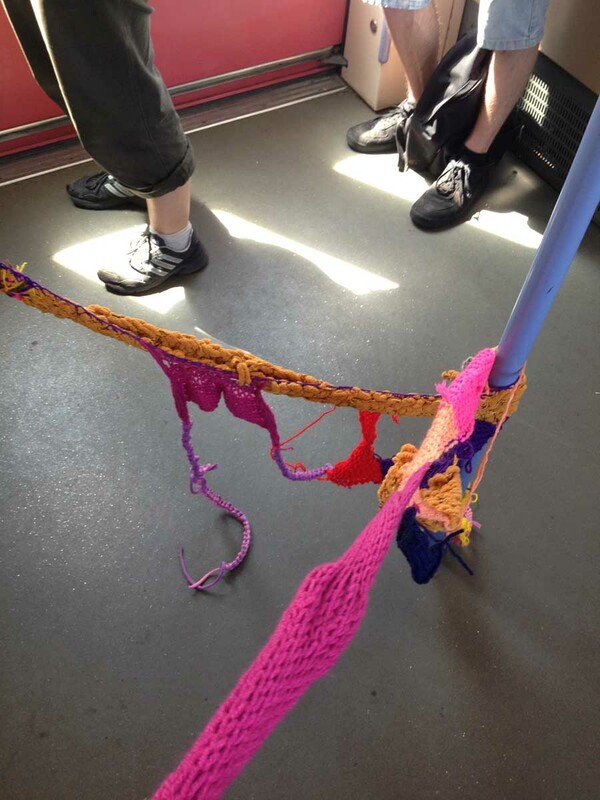 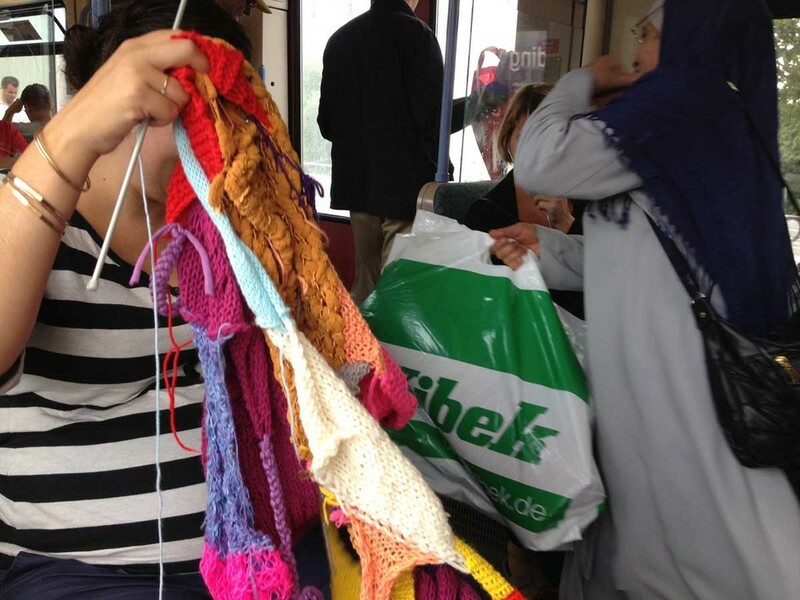 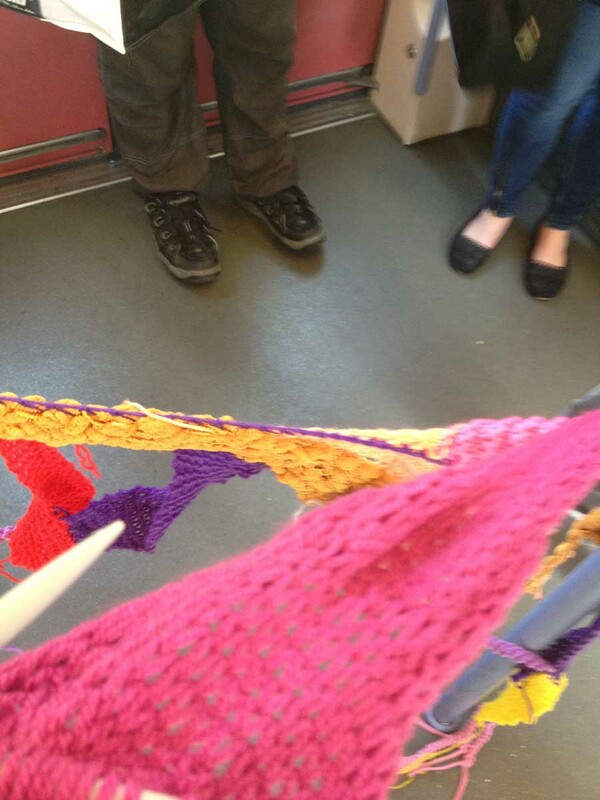 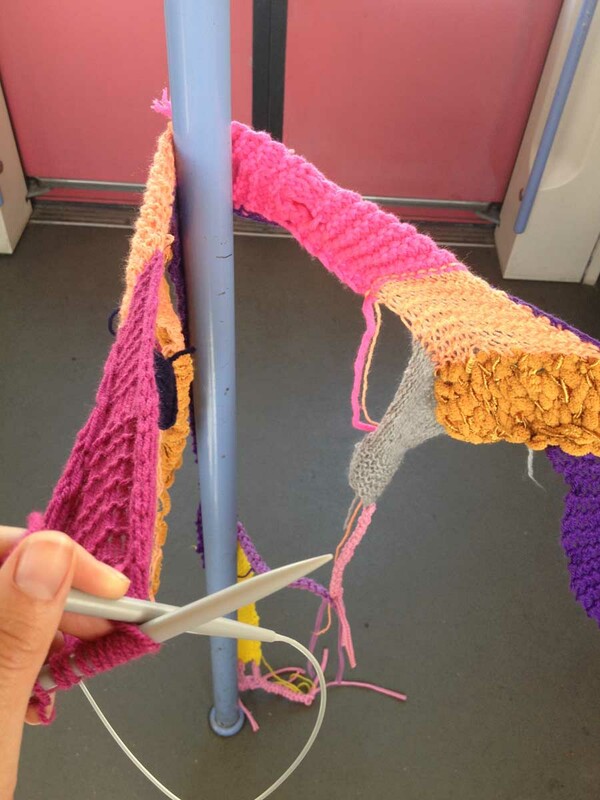 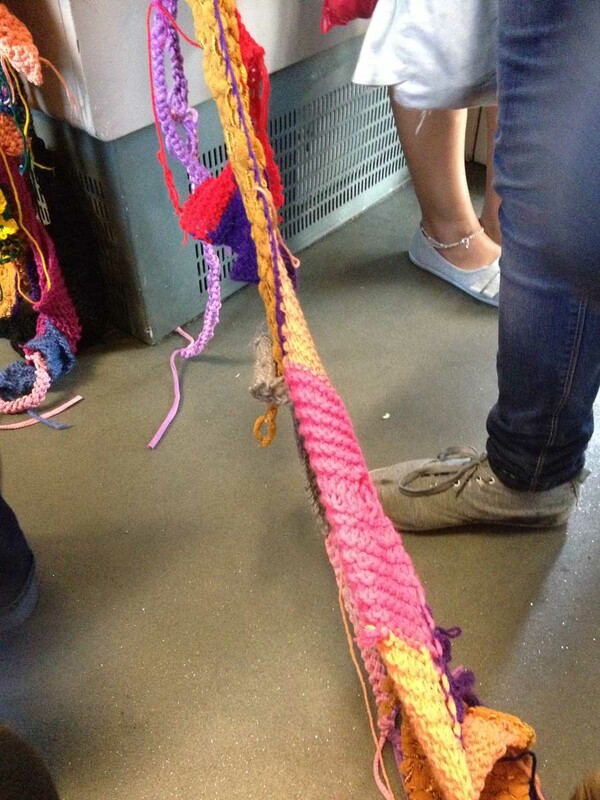 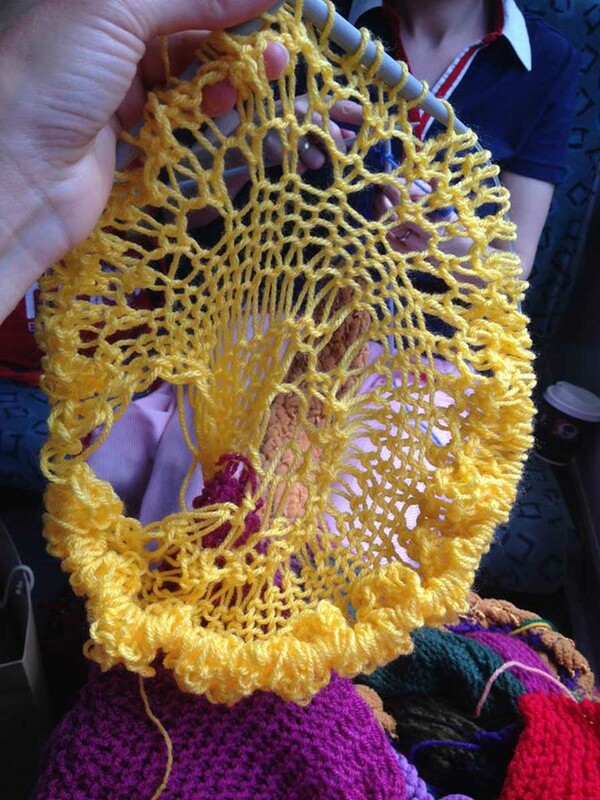 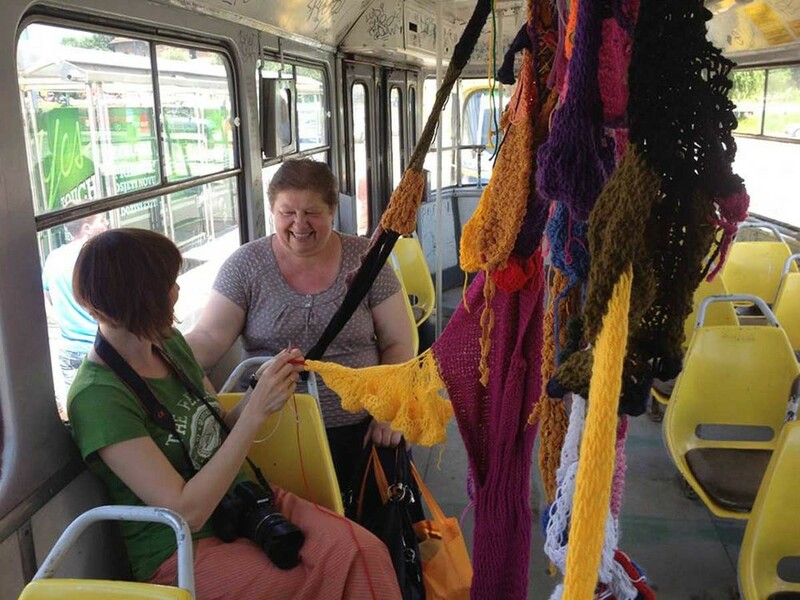 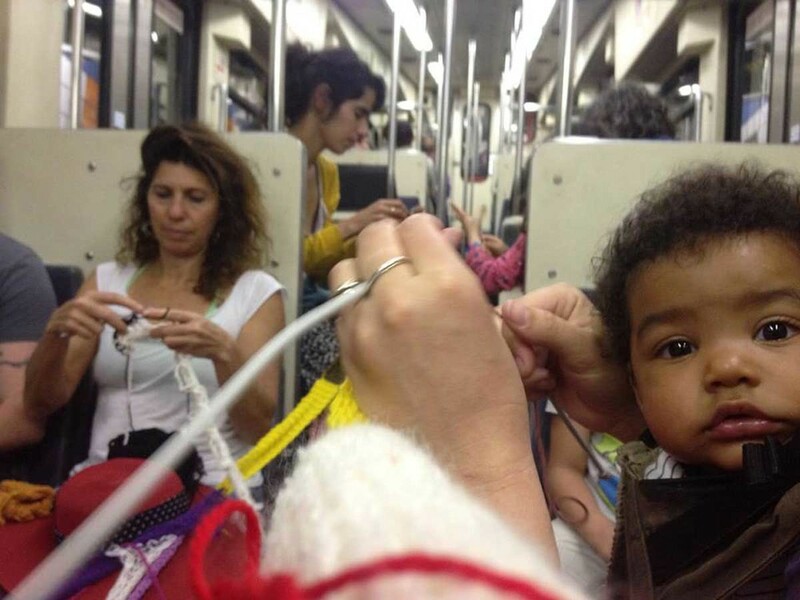 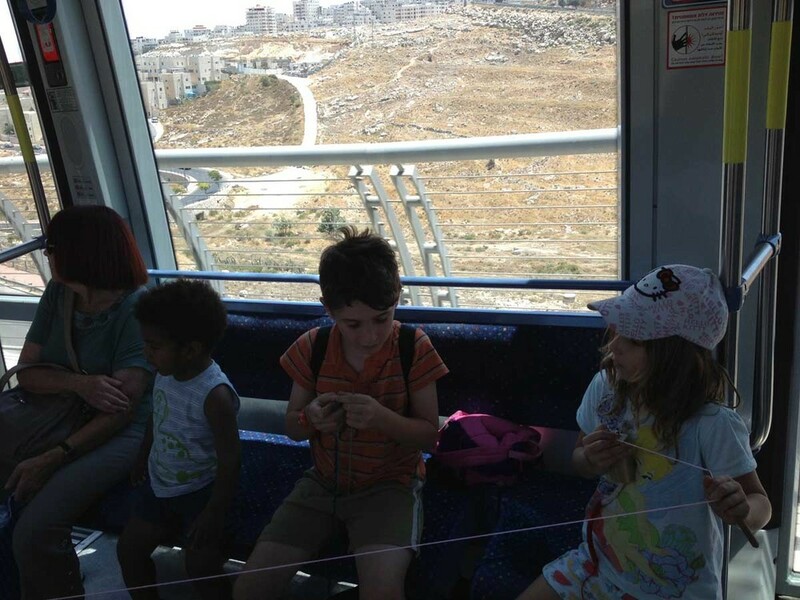 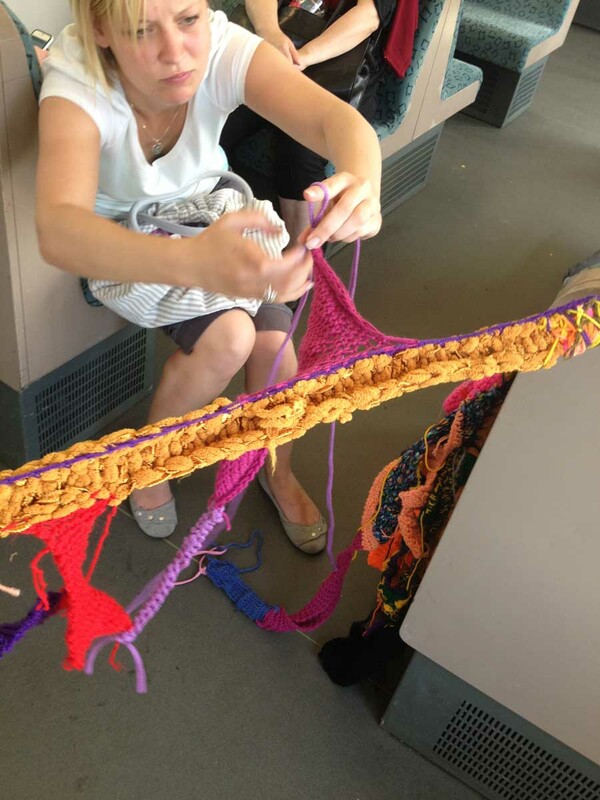 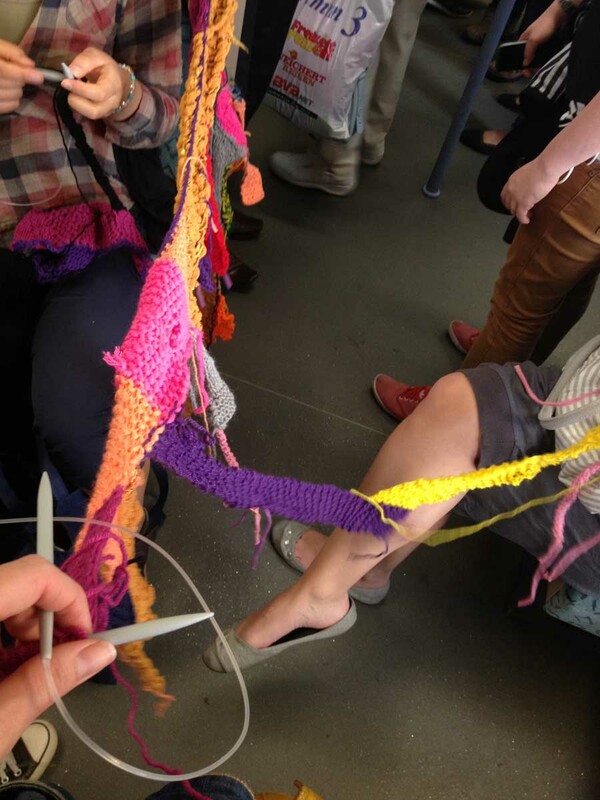 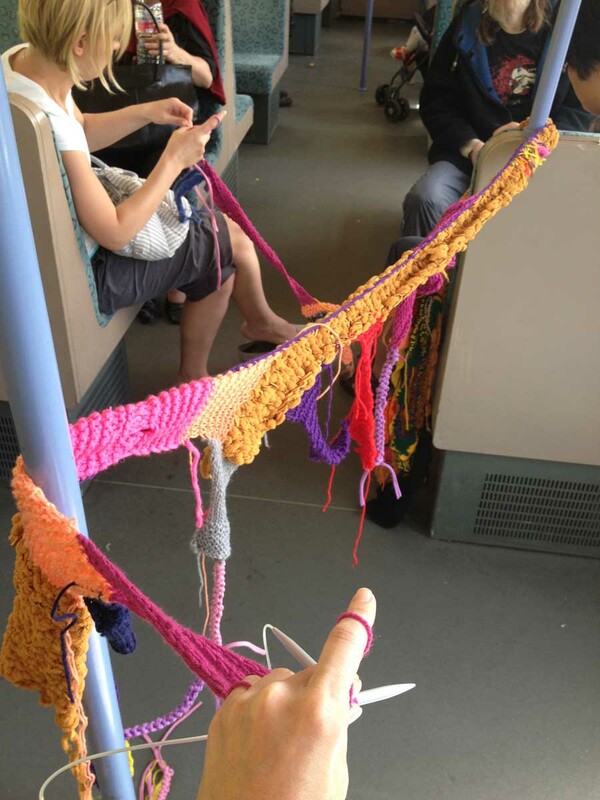 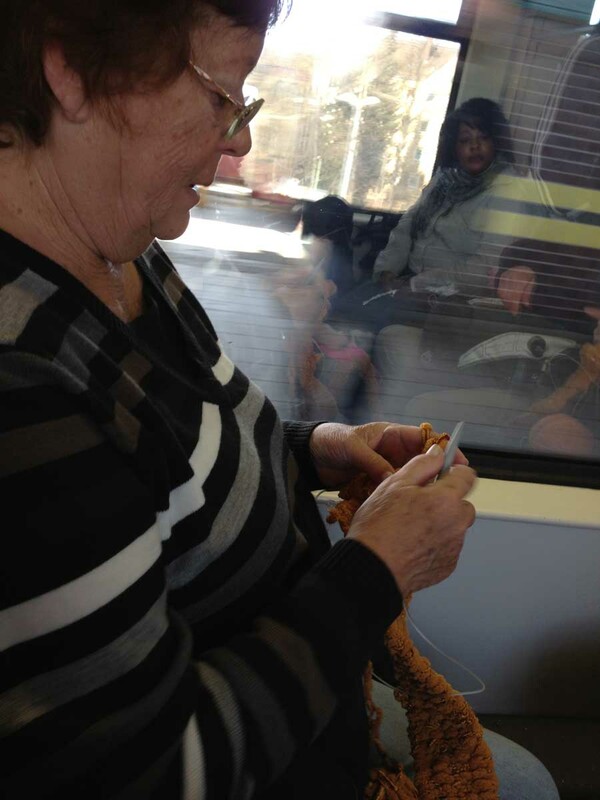 The Ring knitting Circle is an interactive performative urban interaction, which is questioning the borders between art and activism, observer and participant, this through creating a knitting circle inside the ring bahn. 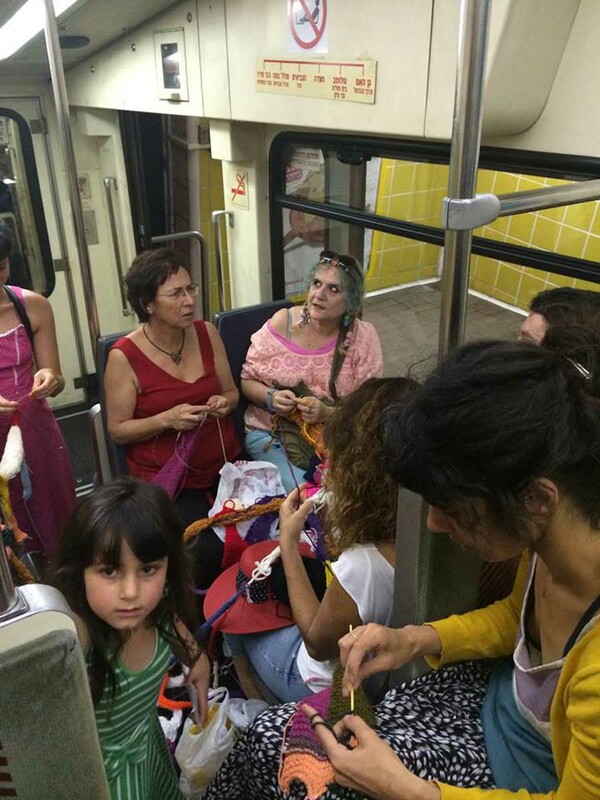 Through this action I would also like to question the gaps between private space and public space, gender and feminism, and immigration. 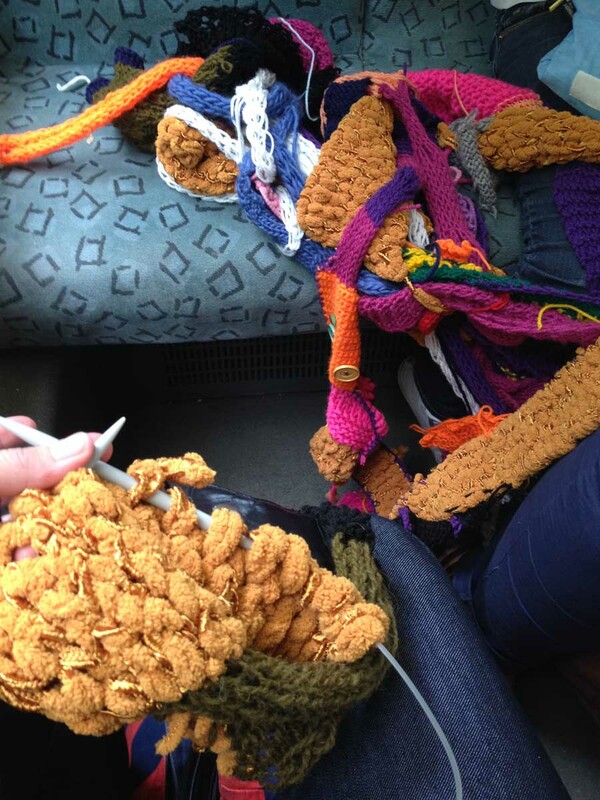 I attend to create the action itself as well as to present the result of it- knitted objects and the documentation after a few regular happenings. 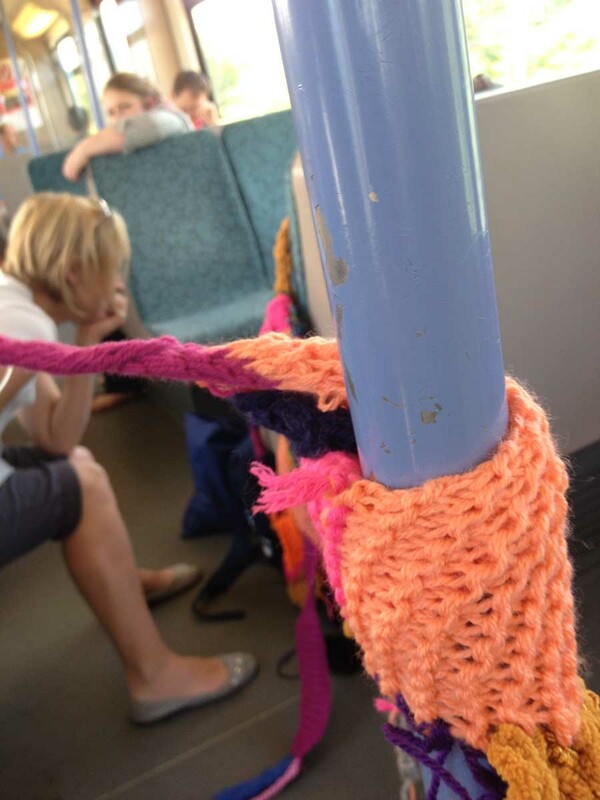 Additionally to the physical creation of the story-telling, in the knitting circle located in the s-bahn, there is as well a second project by the name "away", where three personal questions asked in a one on one interviews which as well takes part inside the Ring-Bahn. 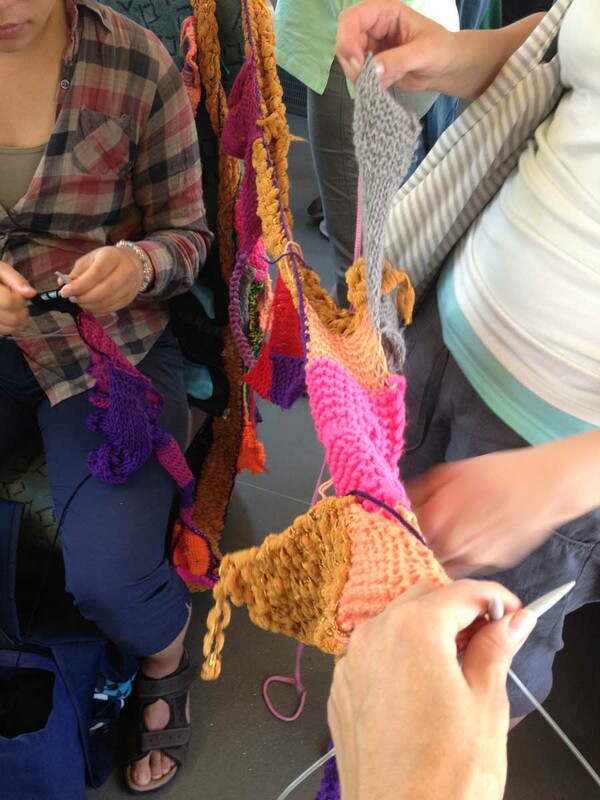 The participant can choose to which question to answer to, without telling the listener. 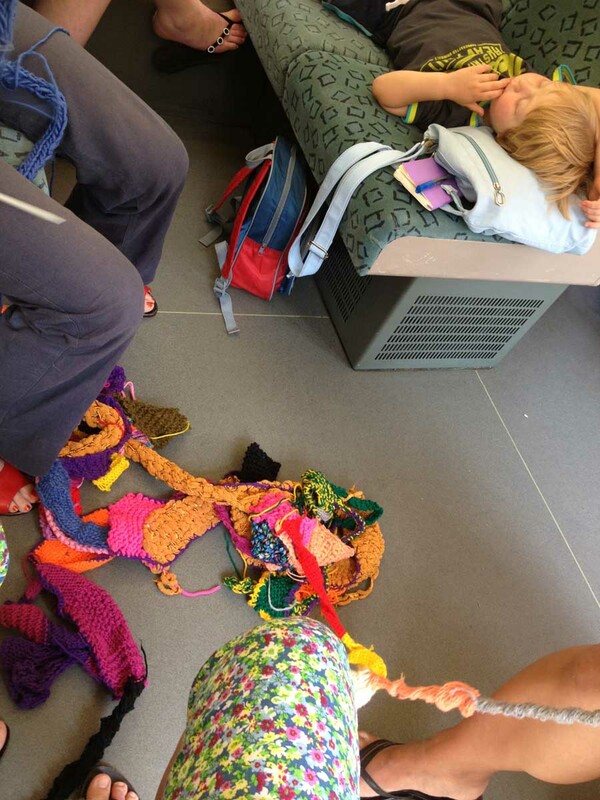 The result- through exhibiting these two works together, the told story will merge with the created story.